In the 1980s, the women who make shea butter in Burkina Faso made a convincing impression on Olivier Baussan, through their savoir-faire and their multiple uses of the exceptional ingredient. Intrigued by its properties, Olivier Baussan decided to develop a range of L'OCCITANE products based on shea butter, which was an immediate success among consumers. To meet the growing demand, L'OCCITANE created a co-development program with the local women. Today, more than 10,000 women in Burkina Faso work in this industry, while several hundred tons of this ingredient travel each year between Burkina Faso and L'OCCITANE's factory in Manosque, France. The L'OCCITANE Foundation chose to expand this partnership, focusing its action on women's leadership worldwide. More than 17,000 beneficiaries in 10 years. Through its actions, the L'OCCITANE Foundation acts on three pillars: 1) Acquisition of basic skills and knowledge by supporting literacy programs 2) Financial and technical support thanks to microcredit programs and training for the development of income-generating activities 3) Promotion of entrepreneurial actions with support for the creation and development of businesses. 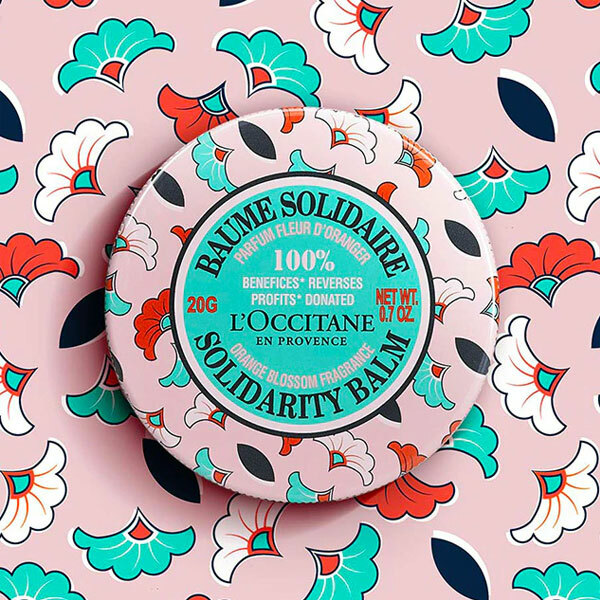 Proud to support women's empowerment with our orange blossom-scented Shea Butter Solidarity Balm. 100% of the profits willl go to the L’OCCITANE Foundation to support women’s economic independence in the African region of Burkina Faso.